Why do we drink coffee? Some say coffee is our comfort, others say coffee is our fuel, while others say coffee makes a perfect partner - a partner you can't do without. 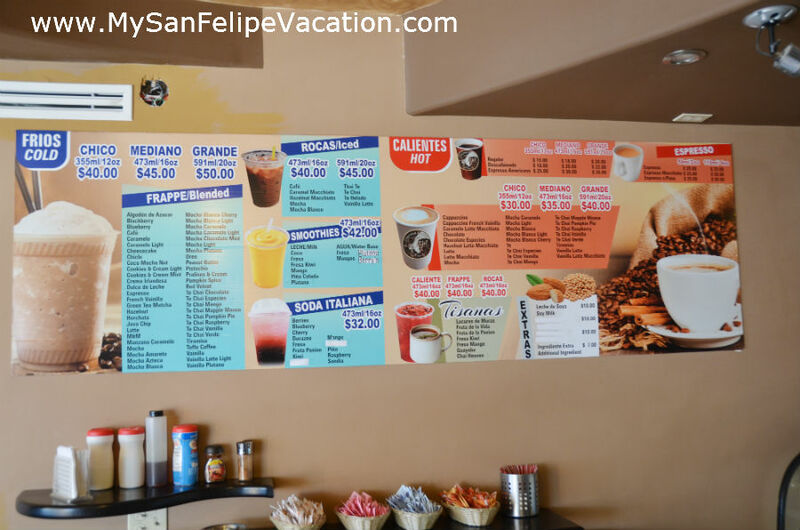 If you can identify with these descriptions and you are headed to San Felipe, rest assured your coffee needs will be taken care of. 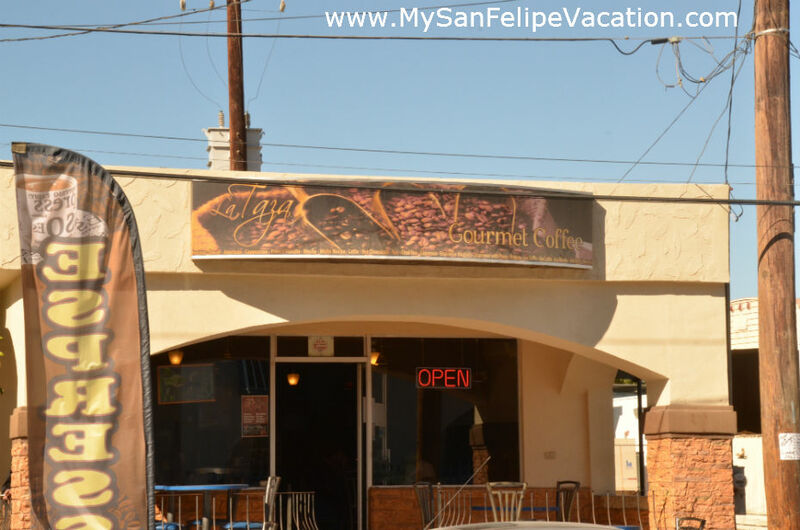 In San Felipe, we don't have the iconic Starbucks or Coffee Bean stores, instead, we have La Taza Gourmet Coffee. 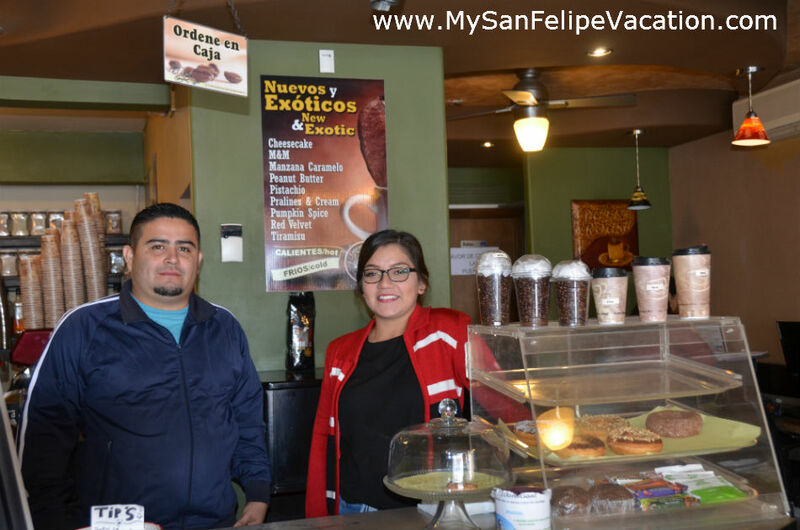 Owned and operated by Isaac Peña and his wife, La Taza Gourmet Coffee shop is known locally as "The San Felipe Starbucks." 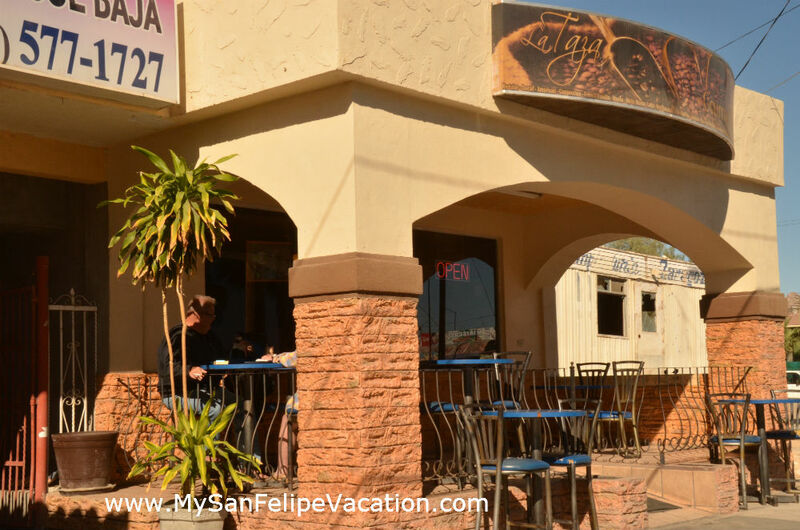 La Taza has been serving aromatic coffee for over 11 years. 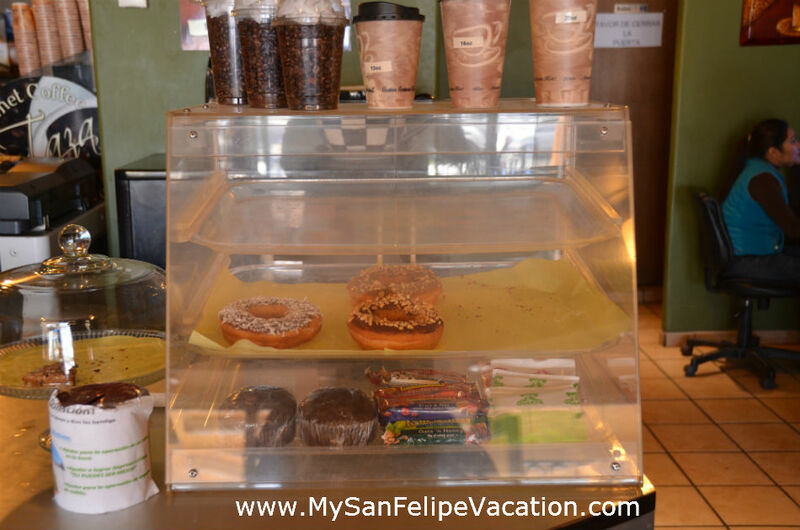 La Taza is a boutique coffee shop designed for guests to enjoy great coffee. Offering hot and cold coffee drinks; from cappuccino, frappuccino, espreso, lattes and mocha to smoothies. They offer many kinds of coffee beans including Arabic bean and Robusta bean which belong to the Colombian family of beans. 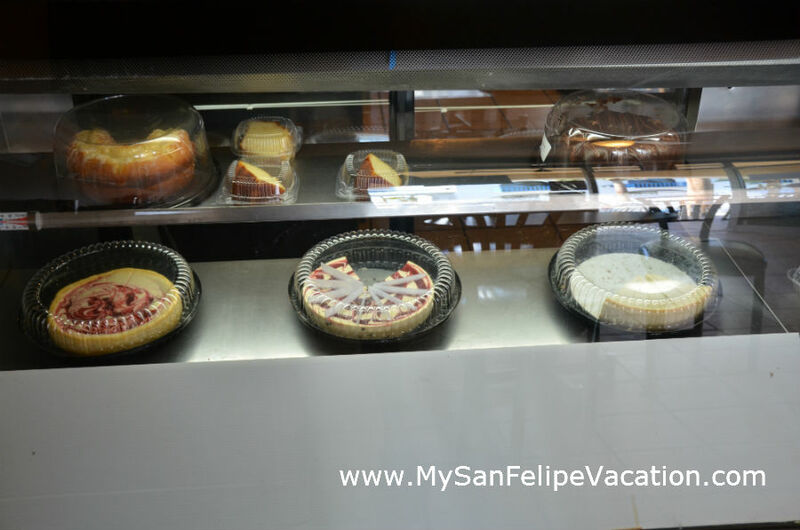 In addition to coffee drinks they also offer a selection of pies, cakes and cookies, and sweet rolls. Once you buy your drink, you have 3 ways to enjoy it. Grab a seat at one of the indoor tables with chairs, or enjoy your drink on outdoor covered patio where there are cool looking tables with chairs. And if you are in a hurry, you can always get your coffee drink to go. 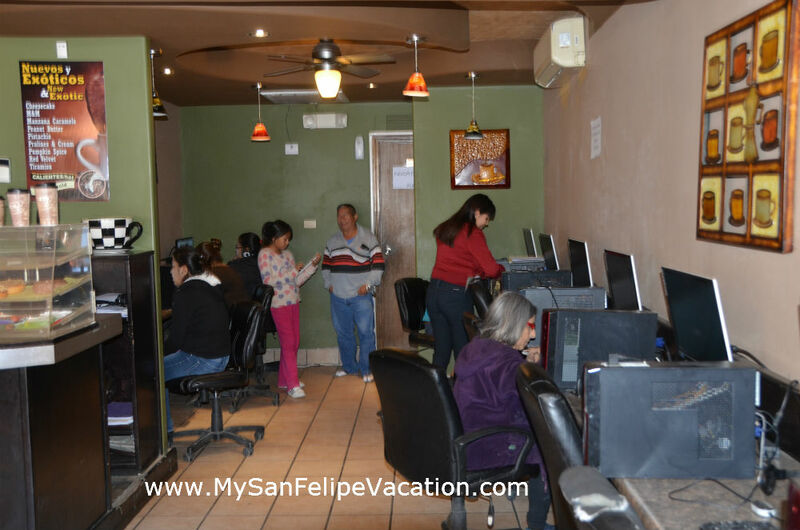 Another claim to fame is the on-site cyber cafe, here you can access the internet and update your Facebook status, post pictures to your Instagram profile showing your friends how much fun you are having in San Felipe. There are 9 computers available for rent by the hour, each with fast internet connection. Printers and scanners are also available if you need to get some paper work done. 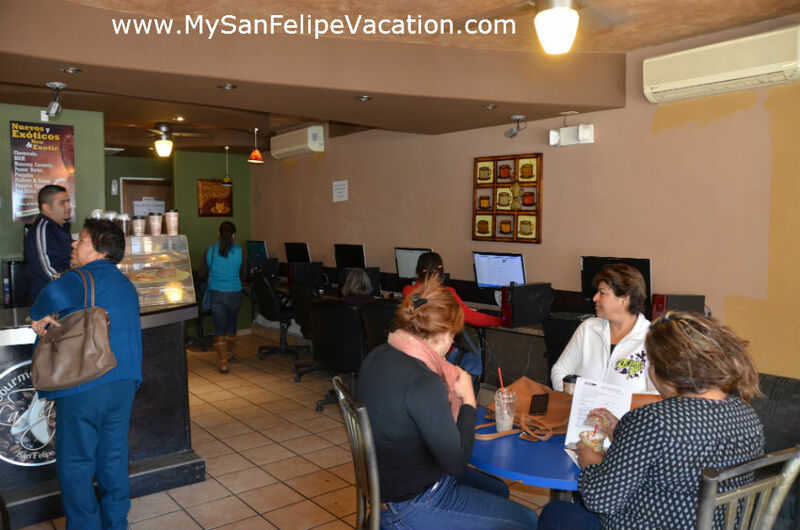 The coffee shop is centrally located in downtown San Felipe - located at 238 Mar de Cortez Boulevard, at the intersection of Calle Ensenada and Avenida Mar de Cortez, across from Costa Azul Hotel - at the southern entry to The Malecon.